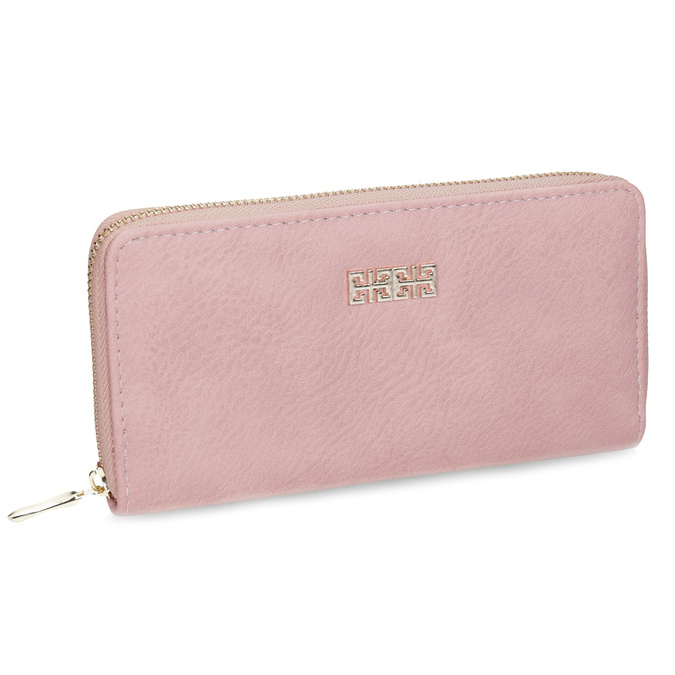 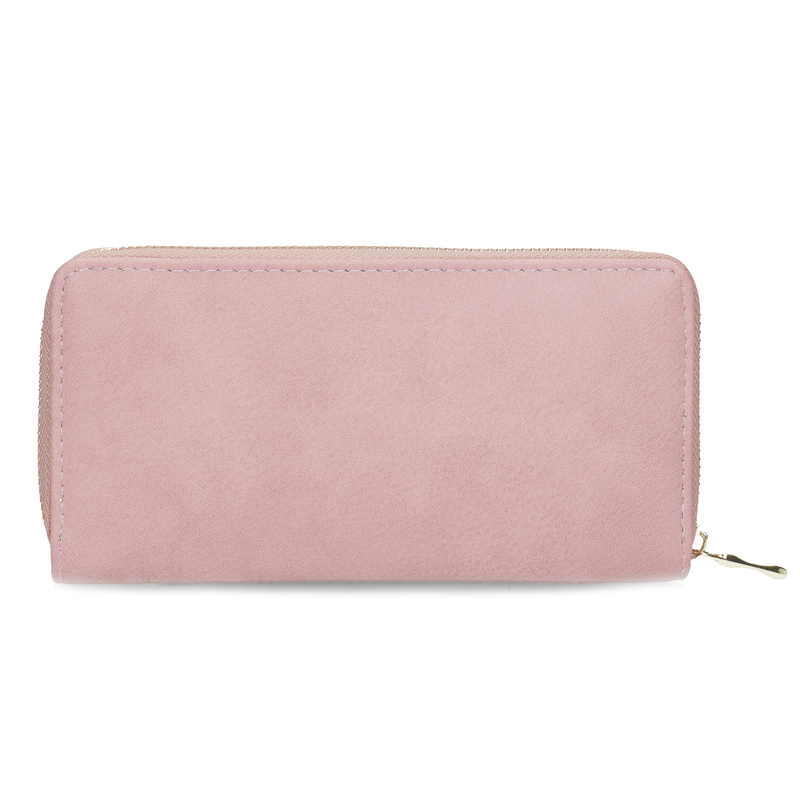 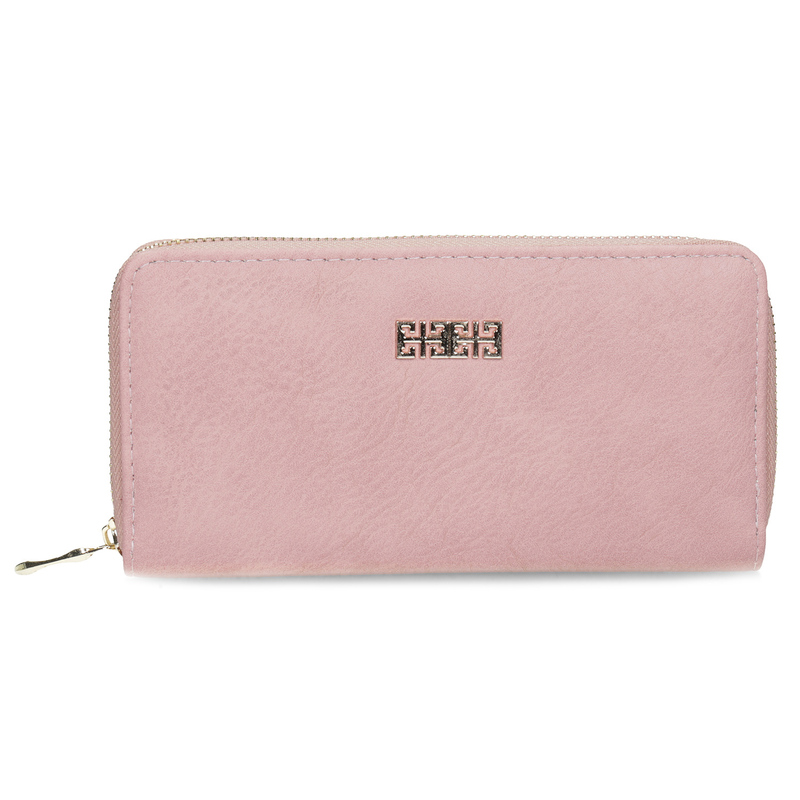 This rectangular ladies’ wallet has a tender pink hue and a golden ornament on the front. 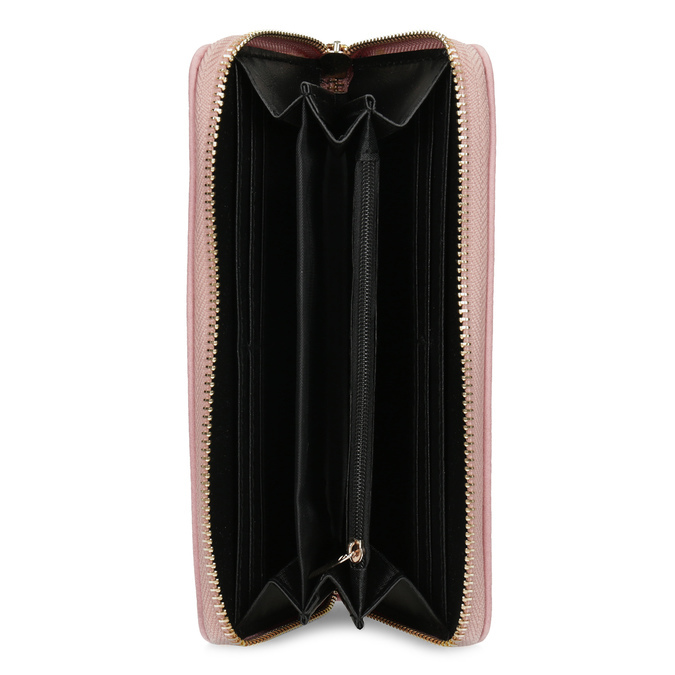 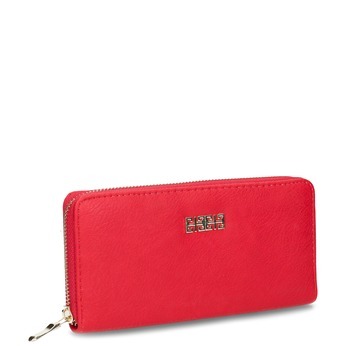 There is a large zipper pocket for coins, card compartments and a banknote compartment inside. 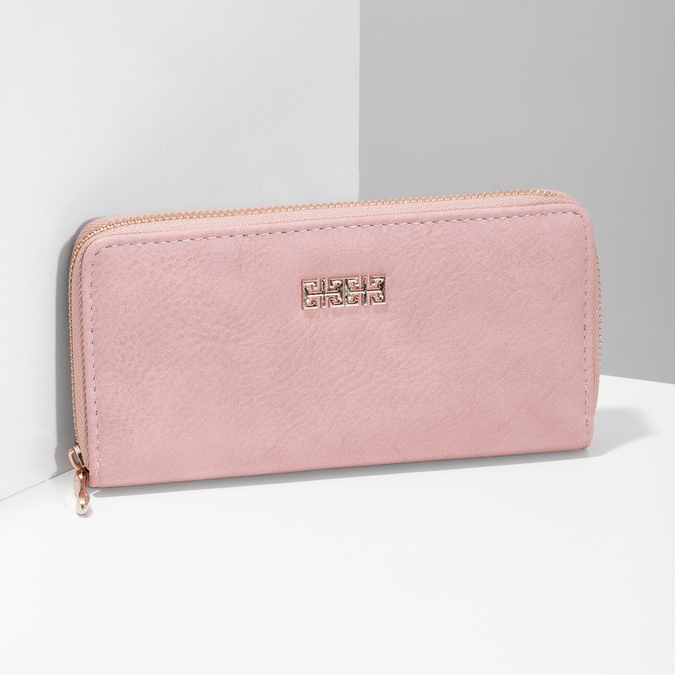 It’s easy to hold in your hand and everything you need will fit into it.